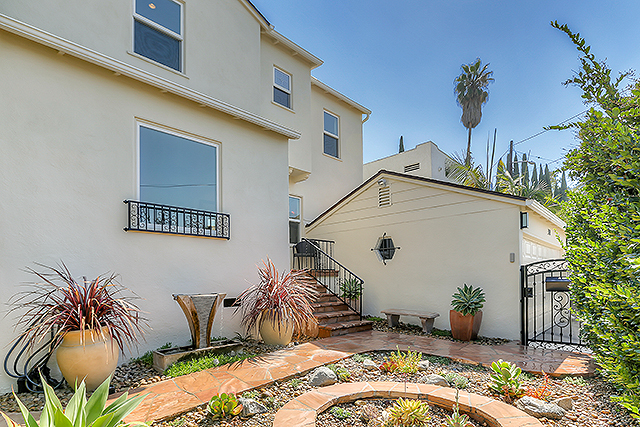 Have been looking for a house in Silver Lake, Echo Park, Eagle Rock, Highland Park – wherever you can find something you can afford? Do you really want to spend $700,000 for 690sf of living space just so you can say you own a house? If you do, that is certainly your prerogative, but why not consider buying income property instead of a house? Buy an income property to live in while getting help with the mortgage from a tenant or two instead! You may not realize this, but real estate investors on average pay the lowest taxes of any for-profit group in the U.S. The deductions and depreciation allowed by the IRS could make your cashflow virtually tax-free. No, you don’t need to abandon your dream of home ownership, but if you have been spending money on rent and are ready to own, you can start building your real estate portfolio, have your own home and collect the rent from someone else instead of paying your landlord’s mortgage. Should I buy 2-4 units or more? By purchasing a NELA duplex, triplex, or four-plex you have the unique ability to combine your basic need for a roof over your head with your desire to build wealth. You can live in one unit while renting the other units out for profit. Yes, you can buy more than 4 units but that takes you into a whole different ballpark in terms of the kind of mortgage you will need. Early in my investing career, my husband and I purchased a fixer-duplex a few blocks from the Silver Lake reservoir. We fixed up the downstairs unit and got it rented as quickly as possible while living upstairs and working on it at our leisure. It was fun to makeover the property and we loved it. We lived there for 5 years. The rent from the downstairs paid a large chunk of our mortgage, taxes, and insurance. Later, we moved out and now hold both homes as rentals – loving the cashflow that pours in each and every month. Is Silver Lake the place you'd like to live? 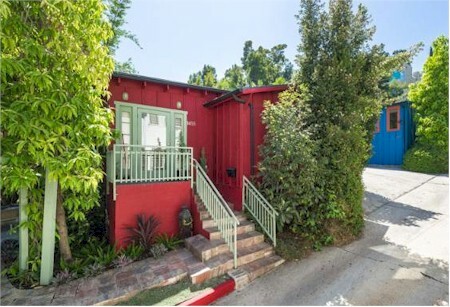 What would it cost you to buy a small, single family home in Silver Lake within walking distance to Sunset Blvd? 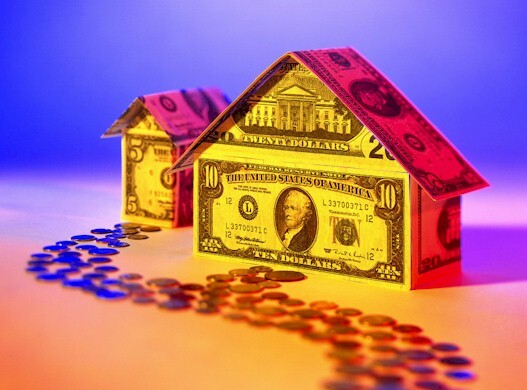 Do you think it would make more financial sense to buy a house our an income property in that same location? If you would consider living on Silver Lake Blvd (Yes, it has off-street parking) perhaps you would like to see this duplex at 1455 Silver Lake Blvd. The property consists of two 1923 craftsman homes, each 2-bedroom, 1-bath- close to Sunset Blvd and all things Silver Lake. According to title records, total square footage is 1,372 square feet so if the houses are of equal size, each house is just shy of 700 sf. The current list price is $799,000. Is Eagle Rock More Your Speed? Here is an income property in Eagle Rock that consists of one larger home in front with a smaller rental unit in the back. Again, these are completely separate houses. The front house is a 4-bedroom, 2-bath craftsman home built in 1094. The back unit is a newer, 2 story, 2 bedroom 1 bath apartment. The current list price for this property at 2123 Yosemite Drive is $749,000. Both of these units are currently rented and the listing agent has not provided any income information. The property is shown only by appointment so if you are interested in seeing it, give me a call at 213-215-4758 and I can make arrangements. Things are Hopping in Highland Park! If you prefer a less gentrified but happening neighborhood, Highland Park should definitely be on your radar. There have been a lot of new business ventures moving to the area with hipster bars and restaurants along York Blvd and cool new thrift shops on Figueroa Street like Found where you can find a unique selection of vintage clothing, shoes and accessories. 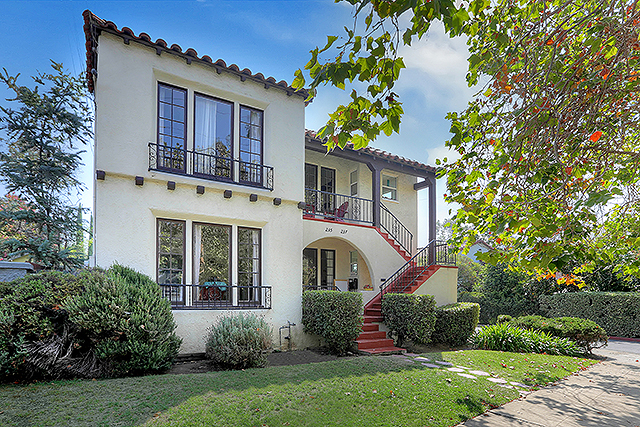 Many Highland Park streets are loaded with historic bungalows and income properties. The Highland Park Garvanza Historic Overlay Zone covers alot of territory and insures that the look and feel of these character homes will never change. How about a beautiful, updated Spanish triplex with a large yard and separate garages for each unit? Total rents are currently $5,400! If you don't need alot of space, you could live in the studio apartment and still collect $4,400 monthly from the tenants. How could THAT be a bad thing? This property at 235 S Ave 51 is within the Highland Park HPOZ and the seller is only the second person to own the property. The original owners built it in the 1930's for family members to live in and never rented any of them out. The property now has updated plumbing, electrical and roof plus renovated bathrooms and original gleaming hardwood floors. Listed price $785,000. Call me and I can set up a showing. 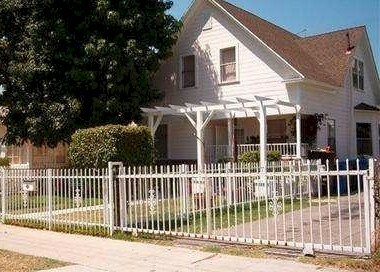 You like the idea of owning income property in Highland Park, but you don't want to share any walls with your tenants? Then check this one out. Two completely restored homes on a corner lot in a cul-de-sac in sought the sought after Highland Park enclave of Mount Angelus. Not only are these 2 homes separate, they even have addresses on 2 different streets with private yards. The smaller home is a 2 bedroom Spanish, currently rented for $2,000 monthly. The 1930's, 2-story house has 4 bedrooms and 2 baths and is currently owner occupied. This is a perfect property to buy in you simply want to move into the larger home and start collecting rent! Located at 344 Stowe Terrace, the property is listed at $799,000 and can easy be shown with just a couple of hours notice.